Wild animals belong in the wild - especially if they're poisonous. 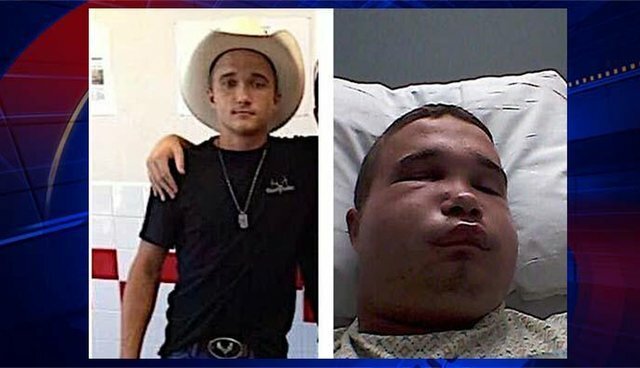 That's the dangerous lesson one Florida teen learned last week when he was bitten by a water moccasin he had captured and brought into his bedroom. 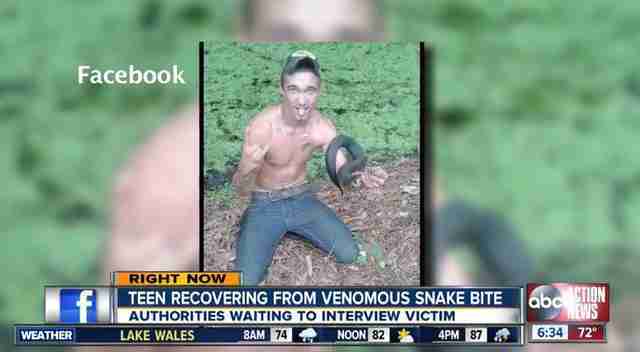 Eighteen-year-old Austin Hatfield captured the snake in his girlfriend's backyard in Wimauma, Florida, last Saturday, Tampa's FOX 13 reports. Hatfield brought the snake indoors in a pillowcase and kept him on his bed. When Hatfield tried to handle the frightened snake, the animal reacted the only way he knew how - he bit Hatfield on the lip. Hatfield's face immediately began to swell up and he was rushed to a local hospital. Water moccasins, also called cottonmouths, are highly venomous. "People without the experience shouldn't be handling these types of animals," a Florida Fish and Wildlife spokesman told FOX 13. The snake was euthanized to allow investigators to identify him, FOX 13 reports - a loss of life that would have been avoided had Hatfield simply left the snake in the wild, where he belonged. The teen is recovering now - but an investigation is open and ABC Action News reports that Hatfield may be charged for illegally trapping the snake.